That would be a good idea in theory, but the update and re-release cycle is driven by feedback. The quicker the feedback comes in, and the more critical the items being reported on, the faster an update will tend to come. Yeah, actually the problem with last versions has been several issues been reported and getting new versions with them fixed. That too; when there's something major, it needs a fix ASAP as far as I'm concerned. Is the Indo-Saka reforms gonna be like the Parthian or Armenian Reforms? I felt like the Indo-Saka isn't that much rewarding compared to the other two as while they get sweeping new government with new buildings and recruitable units. The Saka doesn't seem to be benefiting much from its reforms besides a new few units. Hoping that EB2 gives the Indo-Saka a much more advantageous reforms. Desperately wanting formations as seen in EBI including the UI icons plz and thanks! I don't know if that's what you meant, but yeah, custom army formations would be a nice re-addition. Actually, eveytime I try to setup the classical Roman triplex acies I spend 5+ minutes on the deployment phase...having it pre-built would be amazing. This would of course apply to other factions, and benefit the AI. Actually, Diadochoi armies tend to deploy the whole of their pikes on the left, and the rest of the heavy and light infantry on the right. 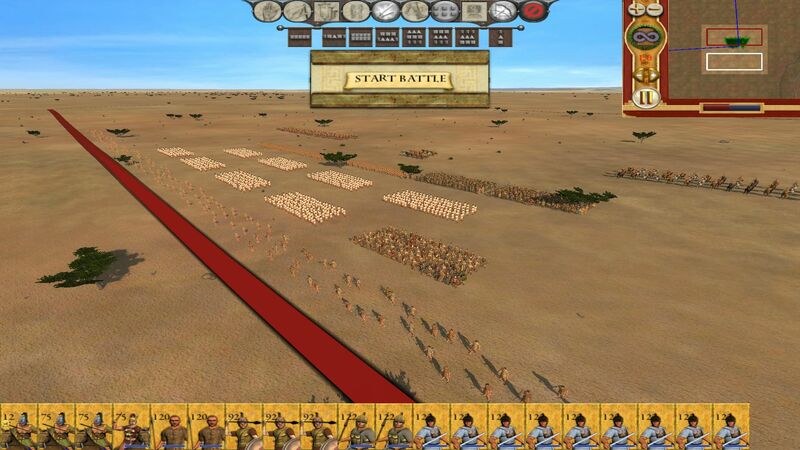 By having a proper formation already coded in, it could have the chance to protect their pikes' flanks with thureos/hoplites, as it historically did. Is it feasible? I seem to remember it was on EB. What does the team think about it? Has this been already discussed? What about the ability to build monumental buildings/wonders? For example, I'm playing as Pergamon, and decide to build my own Great Library of Pergamon? Actually we've already tried to re-implement them, I started to encounter a sort of crash when I tried my idea of implementing them for factions. It was presumably a memory fault (as the exe code is loaded onto the RAM and subsequently conflicted with the XML files), unfortunately no way around that sort of contradiction without a rewrite of the code causing the problem within the exe which is not permitted. Last edited by z3n; July 10, 2015 at 10:19 PM. This game would be great if it had some Scythian warrior women with huge breasts bouncing around as they rode on horseback. Just a thought, you guys. Please use this thread for serious suggestions only. If you want to make jokes, please do it somewhere else. Thank you. EDIT: That's not to say you should hesitate to post suggestions, of course! Even far-fetched or seemingly bizarre suggestions are appreciated by the team. But geniune jokes like the one above should go in other threads, not this one, so as to not clutter up this thread. This makes it easier for team members with busier schedules to read through. Last edited by Sylon; July 18, 2015 at 05:18 AM. Well, that's such a shame. Other than useful, this really looks amazing. Last edited by Roman Heritage; July 18, 2015 at 08:33 AM. Don't know if this has already been suggested , but elephants for Epirus like in EB 1. Also, im not sure about this one, did Pergamon have them? If there are problems with recruiting them, could they be recruited if Epirus (or pergamon if historically accurate) capture Antioch? Epeiros can't recruit them for good reason. Pyrrhos had a few, but that was a one-off. An elephant stable is a vastly expensive thing well beyond the resources of a small kingdom like Epeiros (or Pergamon). Taking Antiocheia wouldn't grant you elephants. They are there because of reciprocal arrangements made between the Seleukid monarch and rulers in India. Simply capturing the settlement itself wouldn't be enough. However, perhaps that's a use we could put the currently-redundant Pergamon era script to? Last edited by QuintusSertorius; July 18, 2015 at 11:39 AM. I guess this is quite some work, and this specifically is only a suggestion for a later, full release. "Markets improve the (tax, trade...) revenue of the province and make recruitment of diplomats possible. Also markets are a requirement for the construction of (other buildings) and can grant characters trade related traits and ancillaries. The first level adds (tax, trade...) revenue. The second level of markets increases that revenue and allows for recruitment of diplomats. The third level..."
There likely will be but I don't think I will 'support' it. Only the main release version will be supported- as the optional passive CAI will be unbalanced due the constrained nature of the CAI, which leads to less than optimal and skewed expansion. Due to factions initial financial states... I may have to put out a supplementary campaign script with adjusted financial help alongside of it, to balance things out. Is there any plan to do something with the minor settlements that are spaced across the map? I like their addition, it gives the feeling of their being more to a region then just the "capital" city, as it were. But is there a plan to give them a gameplay function, other than the free unit slot currently? Would love to be able to name them or give them buildings that could give bonuses - not on the scale of regular settlements, but maybe a special designation that boasts unit experience or trade, or something along those lines. I was only halfway kidding. Unlike other contemporary cultures, the Scythians actually did have warrior women. If EB II is going to incorporate them into the Scythian faction, I would highly advise that you make their breasts as bouncy as possible, along with their butts! Or, you know, you could just give them boring regular animations, that would be cool too. There are no plans to do anything more gameplay-wise - they'd merely increase the snowball effect of having too much money in the mid- to late-game. We did have a discussion about it, but resolved against it. One of the planned Scythian noble units does have female as well as male models in it, but they don't have bouncy anything. Would the engine theoretically allow it to build any kind of structure within a minor settlements though?